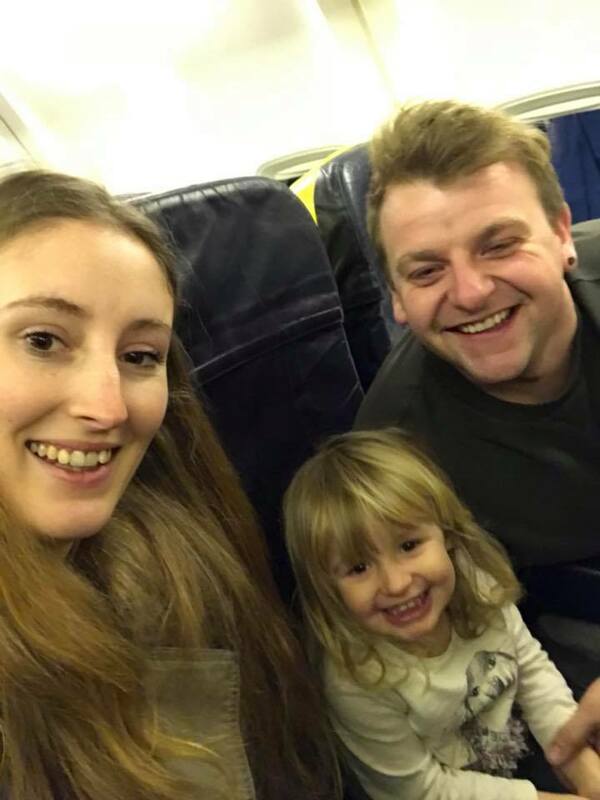 Last week we embarked on our first family holiday to Tenerife, myself and Paul have been here a couple of times before so we thought it would be a perfect place to take Darcy having known our way around. I'd like to write a diary style post on our trip so look out for that, but I thought I'd tell you a few of my tips that helped us with the 4 hour flight. I was kinda dreading it, I really didn't know how she was going to take it or whether she would even enjoy it but she did really well and much better than I expected. Be organised. I suppose to most mums this is obvious, I can't say I am the most organised person but when it came to getting to the airport and getting through security ect. I wanted to make sure we had enough time and also that I had all of our documents in a easy order. Comfort is key. Make sure your little one is comfortable for both ends of the trip, we were leaving a freezing cold country and getting out in 25 degree heat, lovely but it did mean taking a change of clothes so she wasn't too hot when getting off. Pack Pull Ups. If you're in the middle of potty training or even a couple of months after like us, I was a bit worried about the not being about to get to the toilet when the seatbelt sign was on and also in the coach transfer. Turned out to be absolutely fine, but I just think it makes everyone feel a little more comfortable that there will be no accidents. Download Apps. If your toddler sometimes like to watch Youtube Kids like mine does, they may not be able to do so due to no internet, the phone can keep her entertained for up to half an hour so instead I downloaded a few age appropraite apps which encourage learning through play. Buy A Small Toy Your Child Has Never Seen Before. I bought Darcy a travel sized etch-a-sketch a while ago which I was going to just give her for Christmas. 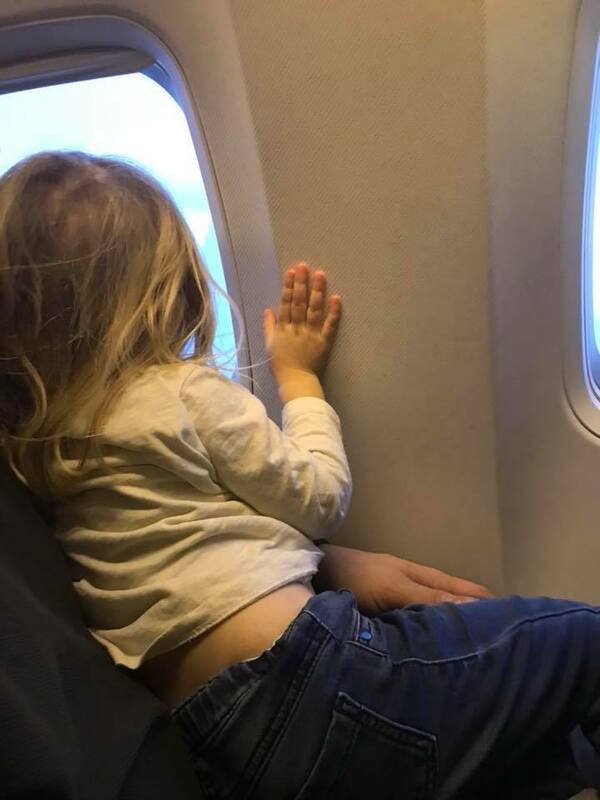 I am so glad I saved it and just got it out on the plane, it kept her entertained a lot longer than expected and even throughout the holiday. Take A Familiar Blanket. This may seem like something you'd just pack anyway but this came in so handy for us, Darcy is the kind of girl that fights her sleep if she isn't comfortable so this just provides that little extra comfoirt. Snacks Snacks Snacks. This probably the best way to keep a toddler entertained, with a good snack. If your toddler is anything like mine then they will love a snack. Anything from Raisins to Milk Buttons. Hope this helps you with your travels.